Elympios and Rieze Maxia follow two different dating systems. Elympios’s timeline is called “Primia” and is currently at the year 4305 as of Tales of Xillia 2. 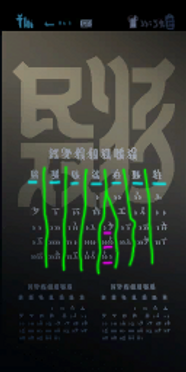 Rieze Maxia’s timeline is called “Trames” and is currently at the year 2294 as of Tales of Xillia 2 (Tales of Xillia took place in Trames 2293). A year in Rieze Maxia has 336 days. As both countries are part of the same planet despite their isolation, we can assume that this is the case for Elympios as well. Elements explained below hint at Elympios having at least twelve months. We can therefore deduce that both places operate with a calendar of 12 months of 28 days each. In Rieze Maxia, the calendar is heavily influenced by spirits. Rieze Maxia has 4 seasons, called Lasylph, Undis, Efreeta and Ragnome. Each of these seasons is influenced by the one of the Four Great Spirits (Sylph, Undine, Efreet and Gnome) that lends it their name. The power of the spirit rises during the first month of the season, reaches its peak during the second month and wanes during the third month to make place for the next spirit. A special kind of strong winds blow when a season changes. Those are called “interseasonals”. In addition to the seasons, weeks also have an influence on the elements. Each of the four weeks of a month is associated to one of the Four Great Spirits, and is named after a color representing said spirit. Blue weeks are when Undine’s power is strong, red weeks for Efreet, yellow weeks for Gnome and green weeks for Sylph. The months’ names are also associated with elements. So to determine when one spirit’s power is the greatest, we must look at both the month and the week. For example, Undine thrives during the blue week of the middle month of Undis. The red week of the middle month of Efreeta is when fire artes will be the strongest. Etc. Seasons and weeks also influence spirit climes. There exists superstitions based on the weeks. For example, each week has a saint associated with it, and it is not uncommon to name your child after the saint of the week they were born in, especially in Auj Oule. Vent=wind, Orage=storm, Calme=calm; Pluie=rain, Riviere=River, Mer=sea; Feu=fire, Flamme=flame, Cendre=ash; Plant=seedling, Arbre=tree, Foret=forest. For the weeks, Bleu(e) = blue, Rouge = red, Jaune = yellow and Vert(e) = green. Bleu(e) and Vert(e) sometimes take a final -e because of French grammar requirements. The week’s name comes after the month’s name. The week Efreet’s power is the strongest is thus called Flamme Rouge. Only four of the months are actually named in the game, and since the rest comes from untranslated side material, I had to invent the rest following the pattern established by the localization of those four names. The four names spoken of are Orage, localized as Procella; Riviere, localized as Amnis; Cendre, localized as Ignis; and Plant, localized as Solum. Those four localized names used Latin instead of French, and so I have translated the rest of the non-localized ones into Latin. 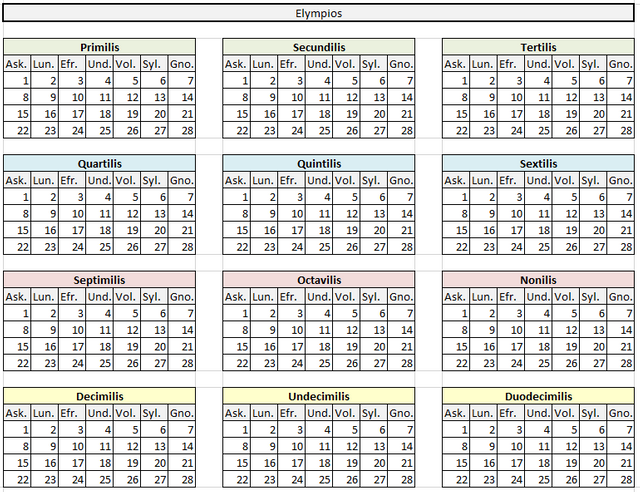 The table is therefore not official for the most part, but might serve those who wish to use localized terms. Ventus=wind, Procella=storm, Quies=calm; Pluvia=rain, Amnis=river, Aqua=water (1); Calor=heat (2), Flamma=flame, Ignis=fire; Solum=soil, Arbor=tree, Sylva=forest. (1) I picked “Aqua” instead of “Mare” because the localization used “Ignis” for a month in Efreeta and “Solum” for one in Ragnome, and those happen to be Dawn of the New World centurions’ names. I wanted to keep a small reference to the centurions in every season, which is why I picked “Aqua” for this month. (2) “Ignis”, used in the localization for Cendre, already means “fire”, so I had to pick something else. The weeks are Caeruleus, -a, -um for blue; Ruber, Rubra, Rubrum for red; Flavus, -a, -um for yellow; and Viridis, -is, -e for green. Like in French, Latin nouns have grammatical genders, and so the ending of the adjective changes depending on the word they are associated with. In Rieze Maxia, days do not have individual names; instead it is the combined name of month and week that matters. So where we say “Wednesday, October 22, 2014”, Rieze Maxians would say “Plant Vert 22, Trames 2294” or “Solum Viride 22, Trames 2294”. They are also likely to express time in relative ways, and so would say for example “the first day of Plant Vert/Solum Viride” instead of the exact date. Elympios is a lot trickier because it does not have clear explanations. Instead we can find little hints here and there, but some of those do not really add up and for that reason I have decided to tweak it a lot. Ignoring the characters in the background that make up Vera’s wallpaper, the first line on the calendar spells “11月/jūichi gatsu”, aka “November” (literally “the eleventh month”). The second line consists in the first syllable of each day of the week in Japanese (starting from Sunday, as Japanese calendars usually do). The rest are numbers, from 1 to 31. The designer typed in two 11’s, and mistyped 20 as 22. Underlined in blue are the days’ names. As you can see, the three dates underlined in pink don’t seem to fit under anything. 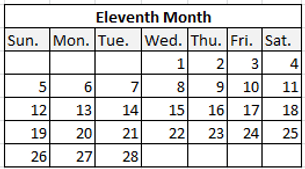 But with even months, there is no reason for the first day of the month to be in the middle of a week, so I have tweaked the calendar to make the first day of months start on the first day of the week. That way, the Elympion calendar can run parallel to Rieze Maxia’s nicely. In Japanese, months and days seem to be named after real Japanese namings. 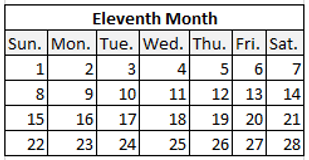 Note that in Japanese months are simply given numbers (January is “1月/ichi gatsu” = “1st month”, February “2月/ni gatsu” = “2nd month”, etc.). Using our world’s English namings would be the easiest. No information is given for seasons. Elize was born in late Undis. Wingul was born in Undis, most likely in Amnis/Riviere or Aqua/Mer. Presa was born in Pluvia Rubra/Pluie Rouge. Jiao was born on Solum Rubrum/Plant Rouge 10. The first game starts somewhere between Amnis/Riviere and Ignis/Cendre: Jude mentions at the beginning of the game that the first draft of his graduation thesis will be ready for Ignis, which means that the game started before that. Later, Elize explains that she arrived in Hamil in Amnis, which means that the party’s visit to Hamil happened later than Amnis. The party arrives in Lakutam at the beginning of Solum/Plant. This means that the first arc of the game took two to four months. Three weeks were spent in Leronde while Milla was recovering from the Aspyrixis. Since the GHS screens either display November or December, we can assume that the events of Tales of Xillia 2 happened during those months. 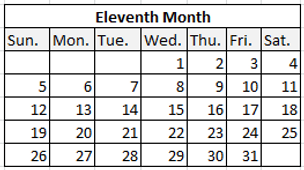 Jude’s GHS is the only one where a specific date is pinpointed: November 9. The reason Wingul’s birthday can be narrowed down to Amnis or Aqua is that the infiltration of the booster lab happened in Undis when he was still 27. I at first believed that to mean that it had happened the year before the game, but Elize’s remark about arriving in Hamil in Amnis shows that the lab must have been dismantled that same year. 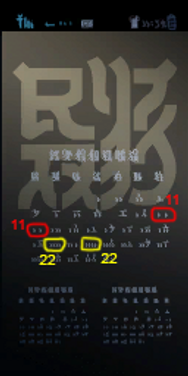 This means that the infiltration happened the year of the game, at the beginning of Amnis (according to hints in Wingul’s side story), before Wingul turned 28. The investigation report about the Zenethra’s disappearance is dated October 2. This means that the hole in the schism/tsunami/Battle of Fezebel/Milla&Muzét’s birth etc. happened a few days or weeks before (so in Ignis/September).